With the big kids in school, have you considered a visit to the zoo with your wee ones during the week? Now is a great time to do so with Werribee Zoo's new Toddler Thursdays. Toddler Thursdays bring the African Village to life at Werribee Open Range Zoo every Thursday from 1 February – 29 March. Take part in fun festivities, with new games and themed activities happening each week. Plus of course there's plenty of time to relax on the lawn and enjoy the sights and sounds of the Melbourne's open range zoo. Each week introduces a new themed activity to help share conservation stories and encourage future generations of wildlife warriors! Activities include face painting, animal encounters, craft, dress-ups, hair braiding and more. Dates and times: 9.30am to 12.30pm every Thursday in February and 10.30am to 12.30pm every Thursday in March. Join Werribee Zoo's mid-week Toddler Thursdays and enjoy wildlife fun with the littlest members of your family for the remainder of Melbourne's summer months. 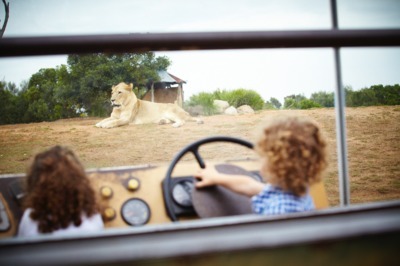 Would you like to win a family pass to check out Werribee Zoo's Toddler Thursdays? Great! Head we've got two passes to giveaway. Head over to our Facebook Page to enter.